Using a 3-tiered approach to skin rejuvenation, you’ll look younger, healthier, and fresher in 2-4 weeks! The 3-tiered approach focuses on surface skin appearance, softening lines and wrinkles, and heating the deep dermis to stimulate skin regeneration. Every person ages at a different rate and in different ways. Some develop redness, age or sun spots. Others have fine lines or wrinkles. you may have one, two or all of these conditions. 3D Revitalize Therapy takes a three-tiered approach to revitalizing your appearance for all of these conditions. 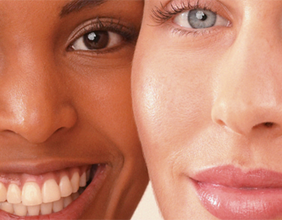 For most patients, through a course of 2-6 treatments we'll help reinvigorate your look. Since this treatment uses 3 different treatments (LimeLight, Laser Genesis, & Titan), each will feel a bit different. LimeLight gives brief, mild pinching sensations as pulses are delivered. Laser Genesis is gentle and soothing with warm pulses along the skin. Titan delivers a cool feeling which then heats up momentarily and returns to cool again. The most common side effect is a slight redness or mild swelling in the treated area that disappears within a few hours.